Fans of Michael Bay’s Transformers are no strangers to Chevy-turned-Autobots, and the legend will live on in the fourth installment of the saga, Transformers: Age of Extinction, which hits theaters on June 27. The star Autobot, Bumblebee, will of course be back in its Camaro flesh, but we’ll also be seeing some other exciting Chevys join the cast. 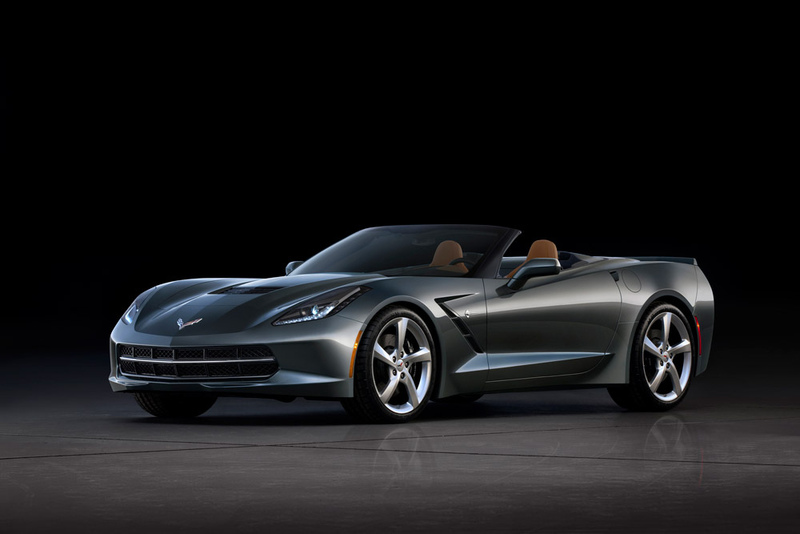 A custom Chevrolet Corvette Stingray will be featured in Transformers: Age of Extinction this summer. 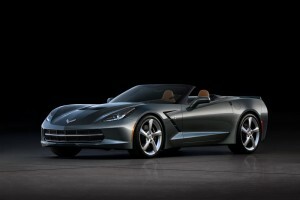 For starters, the multiple award-winning Corvette Stingray will be making an appearance, converting to Crosshairs. Along with the iconic Stingray, a Chevy Trax and a Sonic Rally Car will take to the big screen. Chevy has been involved with the Transformers franchise since the beginning. The Camaro form of Bumblebee was featured in Transformers (2007), Transformers: Revenge of the Fallen (2009), and Transformers: Dark of the Moon (2011). This next chapter features a modified vintage ’67 Camaro SS, as well as a futuristic imagining of the Camaro. In addition to providing the vehicles, General Motors also provided several filming locations, including the Lansing Grand River Assembly plant, the Milford Proving Ground, and the Warren Technical Center. How excited are you to see Transformers: Age of Extiction? Be sure to come in and discuss it with all of us at your favorite Greer, South Carolina GM dealership once you’ve seen it this summer! The 2015 Chevrolet Tahoe full-size SUV is available now from Bradshaw Chevrolet Buick GMC Cadillac in Upstate South Carolina! 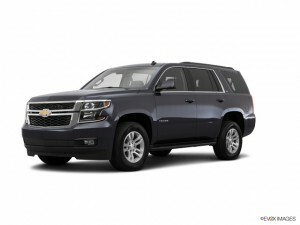 The redesigned 2015 Chevy Tahoe SUV is available for purchase from Bradshaw Automotive! The Tahoe gets a full redesign for the 2015 model year! Restyled inside and out, the 2015 Tahoe gets new interior materials and technology, and the full-size SUV’s fuel economy is also improved. Most importantly, the all new Tahoe maintains all the great qualities that drivers have come to love about the SUV: a large, roomy interior with seating for up to 9 passengers; a powerful V8 engine and a towing capacity of 8,600 lbs! For a full list of specs, technology features and safety options available for the 2015 Chevrolet Tahoe, head over to Chevrolet’s website. The Bradshaw staff is excited to announce that the 2015 Chevrolet Tahoe is available now at our Greer, SC dealership, along with other great 2015 vehicles like the 2015 Chevrolet Silverado and GMC Yukon! We also maintain a wide selection of new 2014 vehicles, including the Chevrolet Malibu, Buick Encore and Cadillac ATS, as well as used cars in a wide variety of makes. Head over to our website to view our entire inventory, or stop in today for a test drive! Stay tuned to Bradshaw’s blog and social media channels for more 2015 vehicle announcements and special promotions from our dealership! The history of the Cadillac Escalade includes some incredible “pimped out” models owned by rock stars and other celebrities. But now, with the 2015 Cadillac Escalade, high-class luxury will come standard. 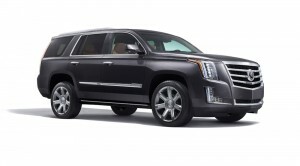 The fourth-generation 2015 Cadillac Escalade will be available later this year! 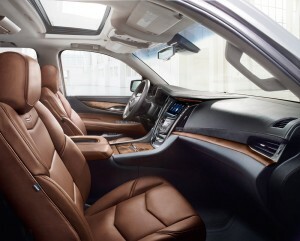 With the fourth-generation Escalade, designers were inspired by high-end furniture when it came to the interior design. They wanted the Escalade to feel handcrafted—and it is. The 2015 Cadillac Escalade’s interior is comfortable and luxurious. Inside, passengers will find real wood along with suede accents and ambient lighting. And it won’t just look good—it will feel good too. The seats use dual-firmness foam that will keep all passengers comfortable, even on long trips. 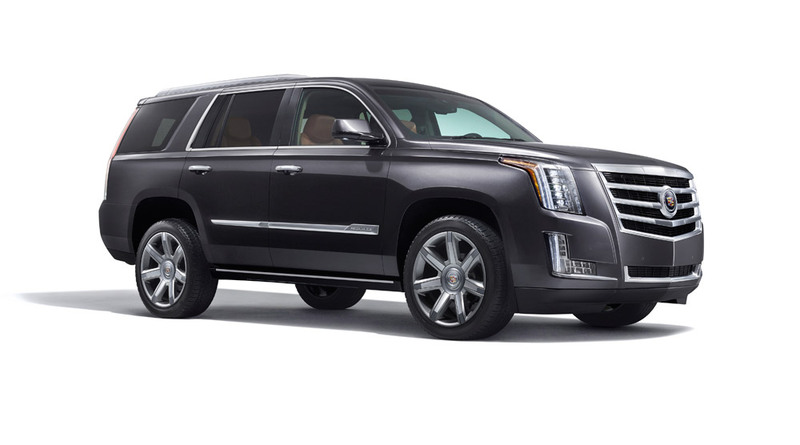 The luxurious 2015 Cadillac Escalade will be arriving at Bradshaw Chevrolet Buick GMC Cadillac later this year. Give us a call and we’ll keep you updated on all the details. 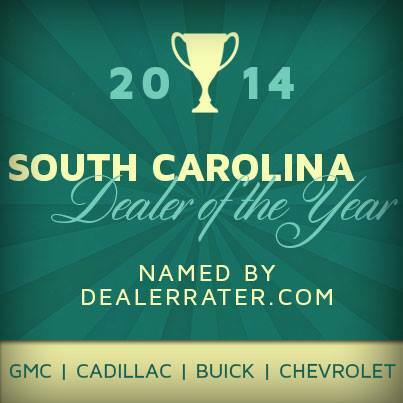 For the second year in a row, Bradshaw Automotive of Greer, South Carolina has been named the 2014 DealerRater South Carolina Dealer of the Year for Chevrolet, Buick, GMC and Cadillac makes! Please join us in celebrating this tremendous honor! DealerRater named Bradshaw Automotive the 2014 South Carolina Dealer of the Year for Chevrolet, Buick, GMC and Cadillac. For over 30 years, Bradshaw Automotive has been committed to providing the Upstate South Carolina areas of Greenville, Spartanburg and our hometown of Greer with the best car-buying and auto service experiences possible. With our open and friendly staff and our wide selection of new Chevrolet, Buick, GMC and Cadillac vehicles as well as used cars in many makes, Bradshaw has worked hard to earn this fantastic award for a second consecutive year. DealerRater is a trusted review and information website, the first of its kind to focus specifically on the automotive industry. DealerRater’s extensive database of customer reviews and experiences help to inform customers of car dealership practices and processes and work to improve car-buying transactions and the automobile industry as a whole. Take a look at Bradshaw Automotive’s DealerRater-certified profile and read through our fantastic reviews from satisfied sales and service customers! From all of us at Bradshaw, thank you to DealerRater and all our loyal customers in Upstate South Carolina for making this award a possibility!